But for some reason, the visits have stopped. My thistle feeder has barely been touched. 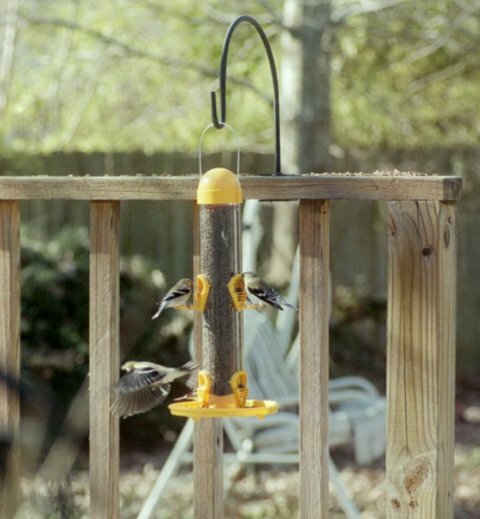 Cardinals are there, chickadees, even a flicker makes regular visits – but no finches. 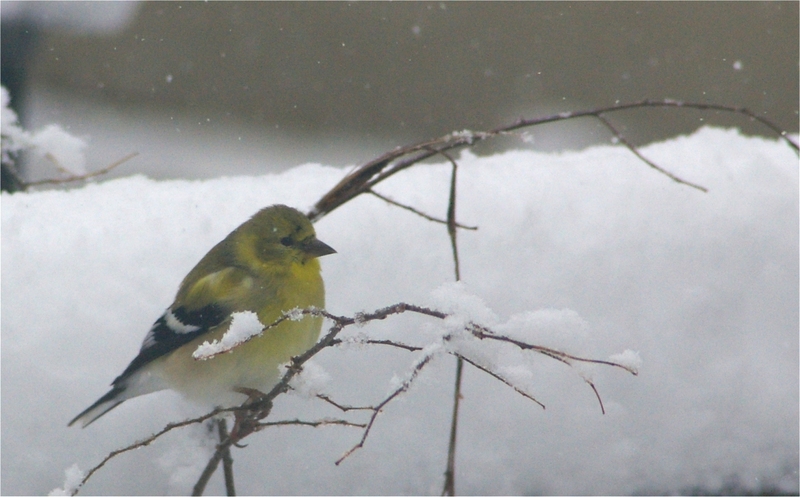 No goldfinches, no purple finches, no house finches. I miss the finches, and I’m really curious about why they haven’t shown. I’ve heard other people nearby say they have many, which makes it even more strange. Yes, duct tape. Not that duct tape is new – it has long been integral to the Two-Part Theory Of Everything: If it won’t move, but should, use WD-40; it it moves but shouldn’t, use duct tape. But at some point in the (I assume) recent past, someone crawling in the dark recesses of an attic or basement looked around and thought, “what we need here is duct tape in designer colors and patterns“. Did Martha Stewart suddenly discover heating vents? Whatever – the American attic will never be the same. You can even get the stuff in school colors, so years from now, in a musty old crawlspace in Pennsylvania, some HVAC guy will know that once upon a time, for one brief shining moment, there was a Florida State fan living in that house. 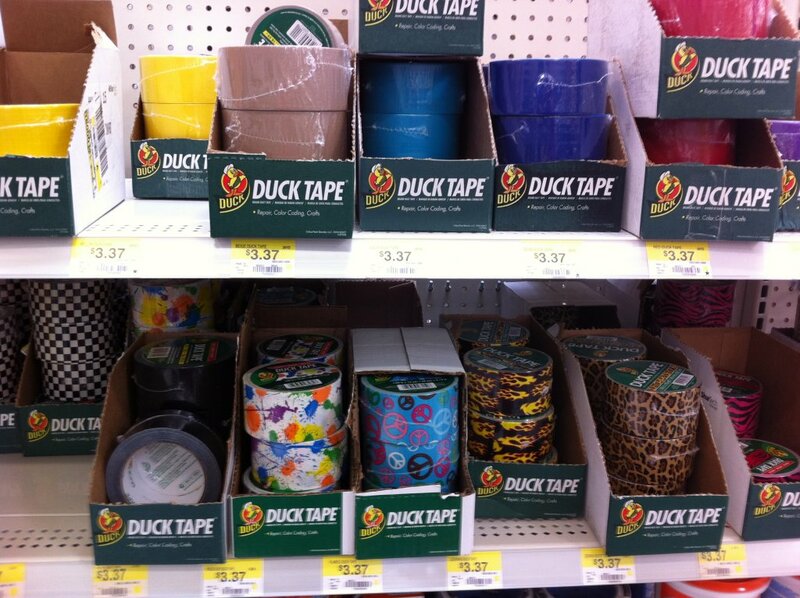 But this makes me wonder – will modern art museums start having duct tape galleries? Would Jackson Pollock have worked in the medium?